First of all, congratulations! 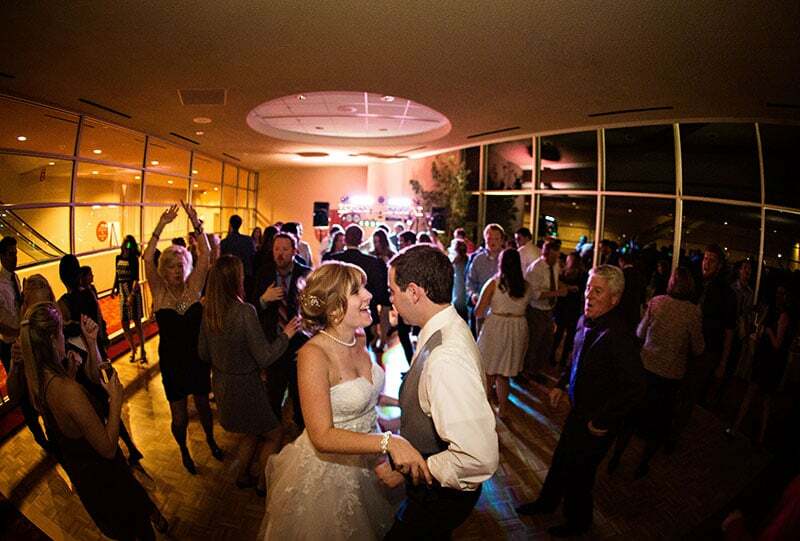 Now comes the fun part — planning the wedding of your dreams. 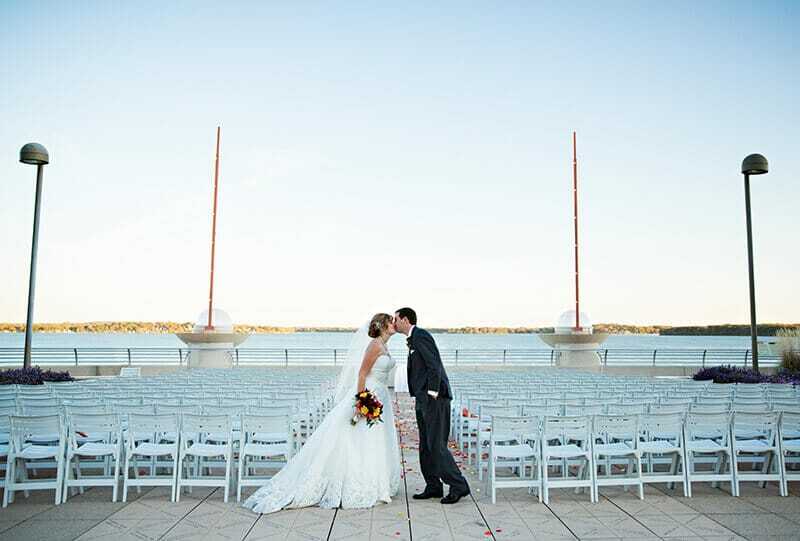 We’re honored that thousands of couples have chosen Monona Terrace as their wedding location, either for the ceremony, reception or both. 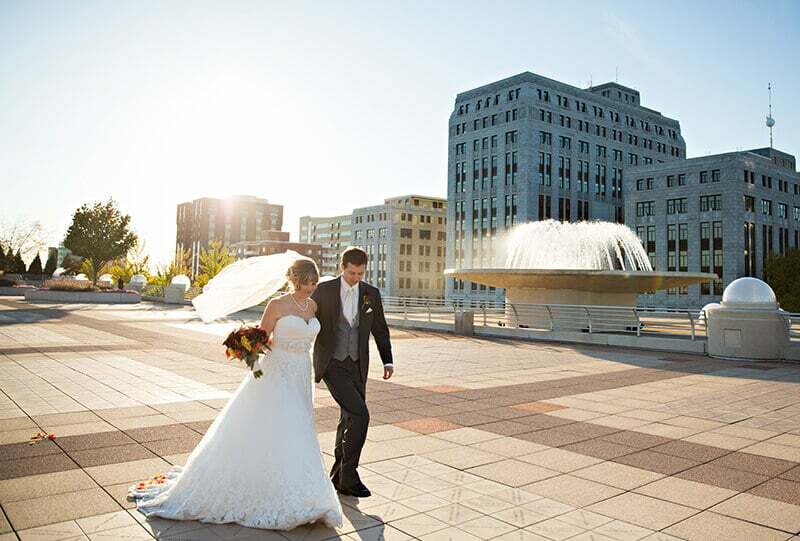 And we’re happy to give you five good reasons to select our beautiful venue as the one to celebrate the beginning of your lives together too. 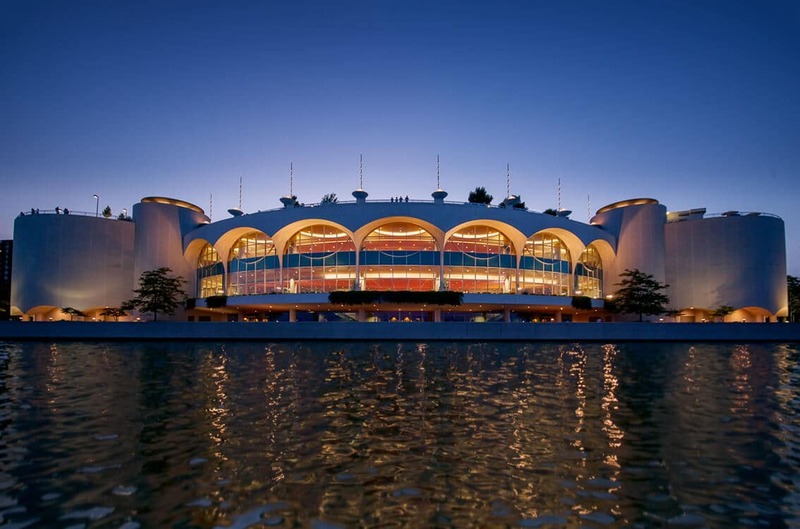 Inside, you’ll find everything from glass-enclosed lakeside spaces to a banquet hall that seats 1,000. A stunning rooftop features 68,000 square feet of gardens and holds up to 500 people. 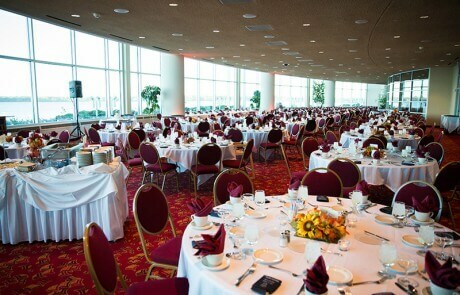 If you host your ceremony and reception at Monona Terrace, a rain backup space inside is complimentary. You and your guests might also enjoy staying at the Hilton Madison Monona Terrace, which is connected to the Center by an indoor climate-controlled skywalk. And if you’re a Frank Lloyd Wright fan, you’ll love that your celebration was held in one of his architectural masterpieces. Our Gift Shop offers a wide selection of Wright-related specialty items that are perfect attendant or guest gifts. It’s the next best thing to hiring a wedding planner! After you sign your contract, we assign an Event Coordinator and/or a Monona Terrace Catering Sales Manager to work directly with you. 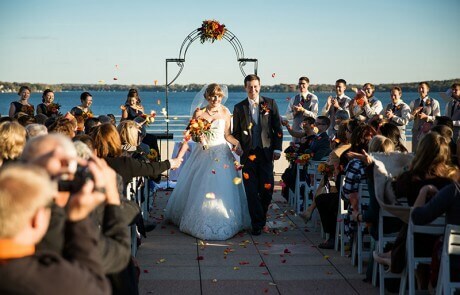 We meet with you face-to-face a few months before your big day to gather details and answer questions. 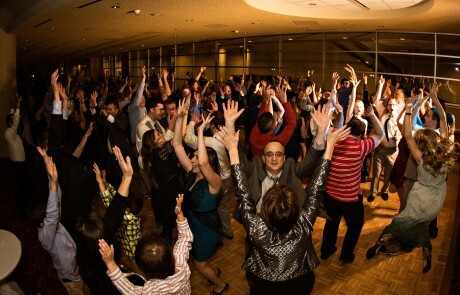 As your event draws nearer, your coordinator will keep in close contact with you to ensure that your day is as enjoyable to you and your partner as it is to your guests. 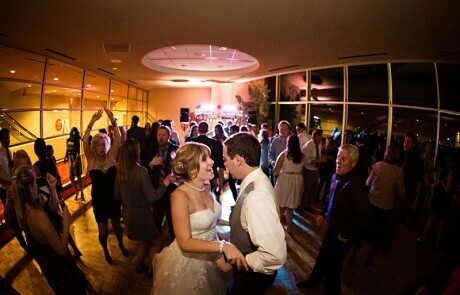 It thrills us to receive comments like this one from a guest who posted on WeddingWire: “The food was delicious. I heard from many people that it was the best ‘wedding food’ they’d had.” That’s our goal! We work closely with you to create the menu that’s perfect for your tastes, dietary needs and budget. You’ll even get a chance to sample our offerings to help you make your selections, which often include locally grown products. And when possible, we’ll incorporate family recipes to make your celebration even more special. You don’t need to be up on the latest technologies—because we are. 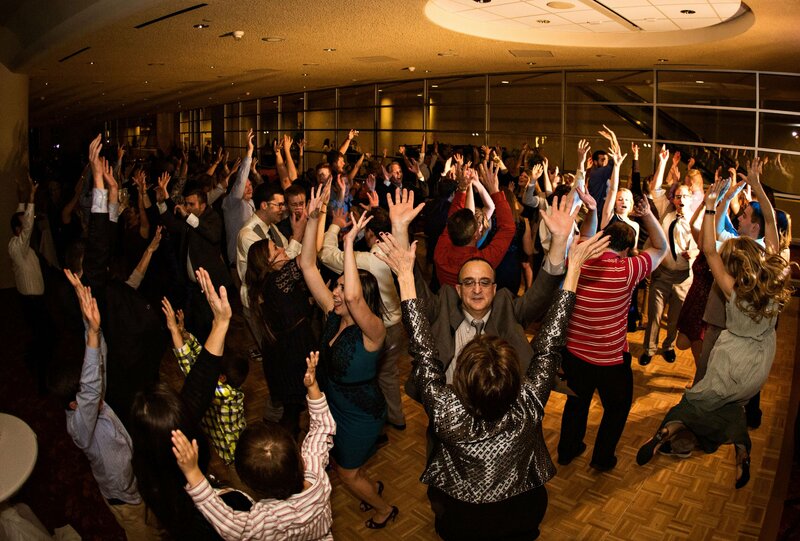 Want to incorporate some wedding tech trends, such as 360° video or a GIF photo booth? Looking to livestream your celebration for loved ones who can’t travel? Our onsite and skilled staff can work with you and your vendors to make those things and more happen. Plus, our redundant Gigabit Ethernet connections allow your guests high speed, “always on” internet access so they can post, go live and share their fun in real time. Currently, 100% of our energy consumption is offset with wind-generated and renewable energy credits. Monona Terrace—which is GOLD certified by the U.S. Green Building Council’s Leadership in Energy and Environmental Design for Existing Buildings (LEED-EB)—uses on average 27% less energy than other centers located in similar climates. And how’s this for a match made in heaven: We donate all acceptable leftover food to local food pantries, which adds up to about 6,500 pounds of food each year. We also partner with the University of Wisconsin-Madison’s WE CONSERVE composting program, which diverts from landfills about 3,700 pounds of pre-consumer food waste each month. The compost is then used by area farmers and for university landscaping. 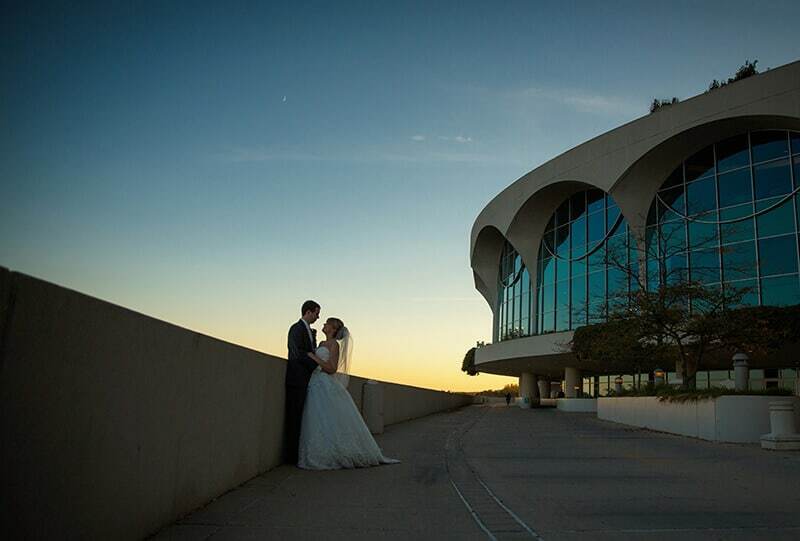 We invite you to visit us and explore our beautiful space and then imagine getting swept off your feet—again. To learn about planning a wedding at Monona Terrace, contact Breanne Chase, social sales manager, at bchase@mononaterrace.com or 608-261-4093.